I love to flip through the pages, pick outrageous recipes, and then try them (even though I am beyond the pickiest eater I know). It is just fun to get into the kitchen and have some fun. So about every 3 months I head to netgalley to get a sneak peak at what is coming soon. 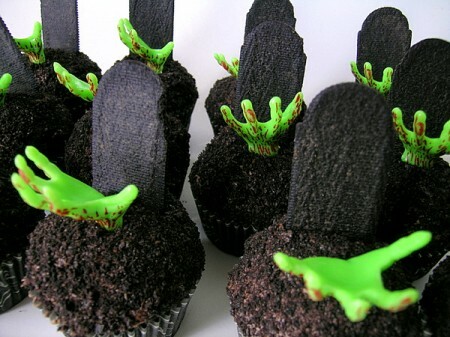 This time I picked up Zombie Cupcakes (for the visual experience) and Grilled Cheese, Please! (for the cooking experience). Both were excellent choices! What I Loved: There were many stunning pictures in this cookbook and few sufficiently creepy ones. It was nice of the authors to go over working with fondant and how to really craft a good cupcake. There were also a few of the cake parts that I want to try! One in particular: Key Lime Cupcakes (I will put it at the bottom—just the ingredients though). Who I would recommend it too: Anyone really creative that likes to theme their cupcakes. I could see these being a big hit at Halloween or during a The Walking Dead house party. If you could recreate some of these, you would definitely be the hit of the party! Who I would recommend it too: Really anyone who likes grilled cheese sandwiches. Some of these were harder than others in prep but the author gave you every step from sauces to sandwich. I see some cheesy goodness in my future!